It is notified that the last date for Application for Joint CSIR-UGC Test for Junior Research Fellowship and Eligibility for Lectureship (NET) June, 2018 has been extended up to 06.04.2018. The candidates desirous to apply for this test may see our notification No. 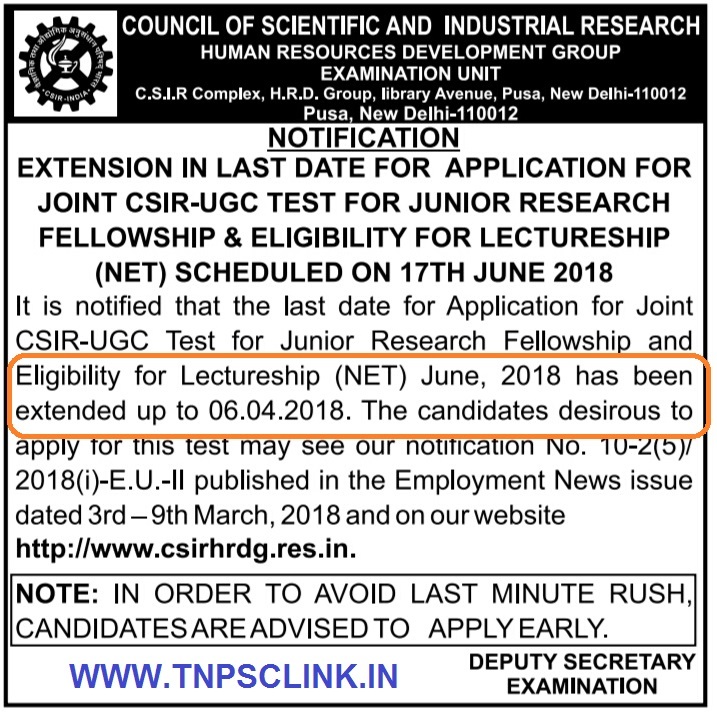 10-2(5)/2018(i)-E.U.-II published in the Employment News issue dated 3rd – 9th March, 2018 and on our website http://www.csirhrdg.res.in.